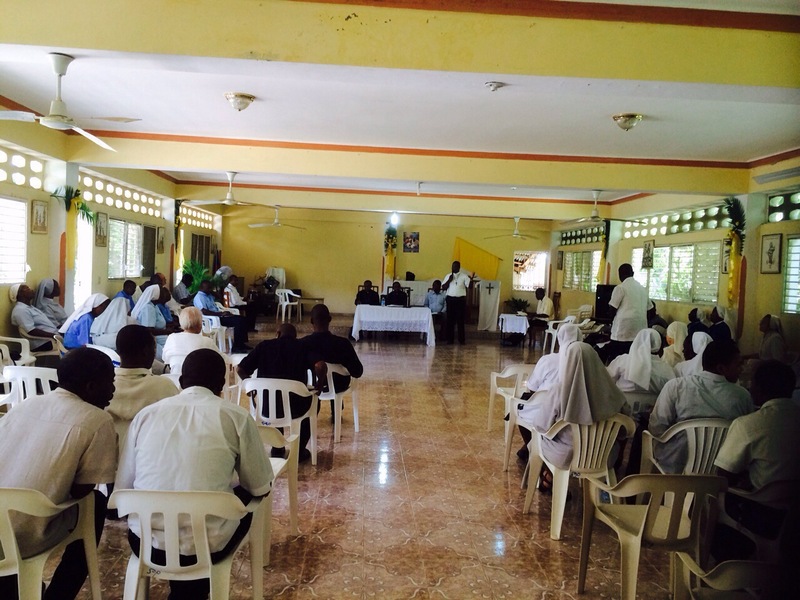 ← Cardinal Chibly Langlois celebrates Jacmel’s patronal feast! The day following two days of celebrating the diocesan feast and the welcome of Cardinal Chibly, all the priests and religious gathered with Bishop Launay Saturne. The morning gave us insight on the history of the Catholic presence in the Diocese and why Jacmel needs to continue to be about the new evangelization. The afternoon was on the Year of the Family and our preparation. The speaker was a priest who teaches at the seminary in Port au Prince; he is the director of the new evangelization for the Diocese of Port au Prince. After his presentation, the newly-formed committees gave reports. Of course, all was said in Creole, but now we can understand. Thanks be to God!